With the diversification of recreational activities, the number of people who enjoy the chess-like traditional Japanese board game in the city has decreased, and many elementary and junior high school students do not know how to play the game. A survey conducted by the Tendo Municipal Government in December 2017 found that 60 percent of students attending elementary and junior high schools within the city did not know how to play shogi. The decline in the passion for shogi among younger generations sent a shock wave through the city. Hoping to spur a renewed interest in the game, the Tendo government held an event in which 4,000 people, including residents, played shogi in October last year. 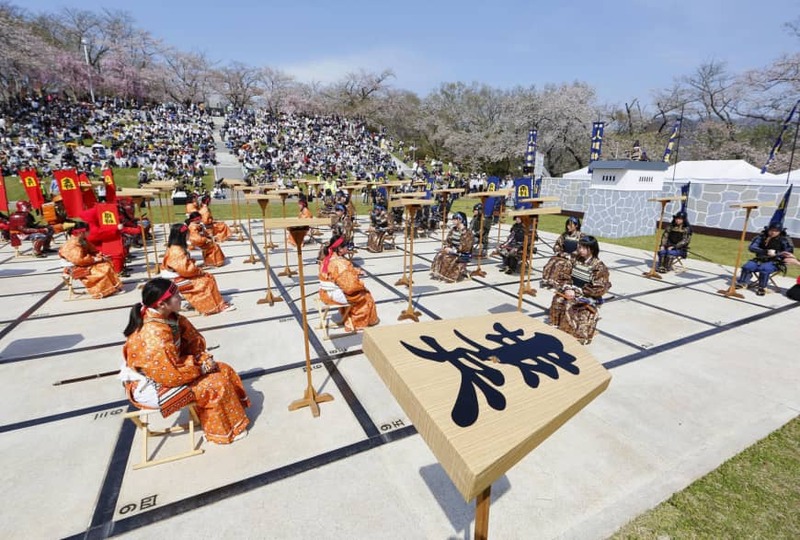 The event was listed in the Guinness World Records as featuring the most games of shogi played simultaneously in one location. Although the board game’s popularity has been boosted nationally by the eye-catching performances of 16-year-old Sota Fujii, the nation’s youngest professional shogi player and holder of the rank of seventh dan, the city’s pressing task is nurturing next-generation shogi players. The city is considering inviting instructors from the Japan Shogi Association’s Tendo branch and other organizations, as well as holding classes for children at all community centers in the city, beginning in fiscal 2019. The Tendo government hopes to produce the city’s first professional shogi player through initiatives such as once-a-week classes taught by pro players and others for some talented children. Chihiro Honma, 36, whose 6-year-old daughter Shuri attends a local shogi class and wants to become a professional player, is enthusiastic about the idea of his daughter receiving classes from professional players. He said he is “happy” that shogi in the city will be invigorated through the measures. “The city of shogi will gain strength if strong players who are also great people are developed (in Tendo),” Yoshimi Oizumi, head of the national association’s Tendo branch, said. The Tendo Chamber of Commerce and Industry is also working on measures to promote shogi. With help from Shokei Gakuin University located in Natori in neighboring Miyagi Prefecture, the organization has developed a shogi game using a board of 36 squares, instead of the conventional 81, in the hope of spreading interest in shogi to many people. The new game is shorter in duration than a regular shogi game and the organization is considering commercializing it. 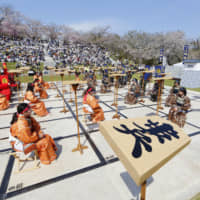 A Tendo city official noted that people “will need shogi pieces if the shogi population increases.” The official also voiced the expectation that a rising number of shogi players will attract more tourists to the city. “There aren’t any other cities where you are surrounded by shogi pieces,” she added.